This new acrylic painting by Deanna Weinholtz is a part of her water series, entitled “Euphoria”, The medium is acrylic and silver leaf on a cradle board. The silver leaf shimmers through the paint and creates a beautiful, unique look that must be seen in person to truly allow the eye to capture the stunning effect this technique produces. 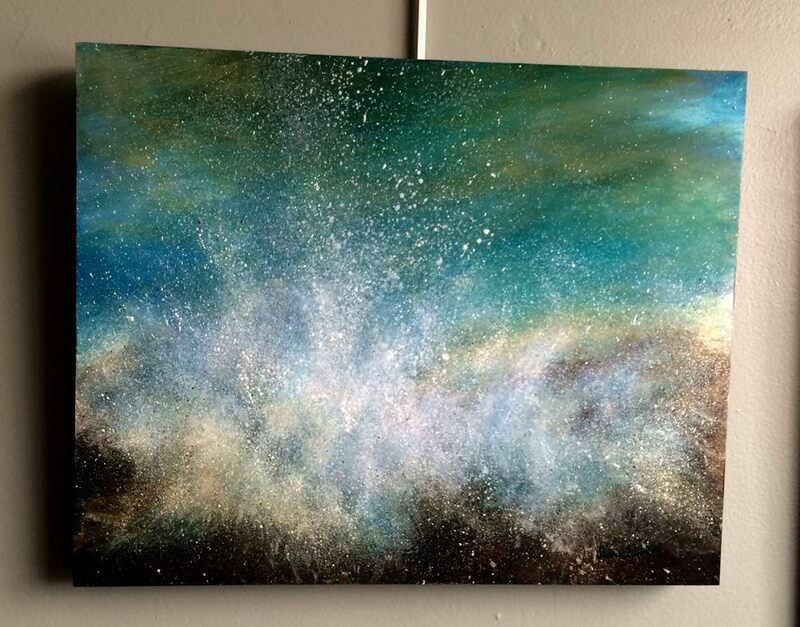 Stop by River to see this lovely painting as well as others from her water series!